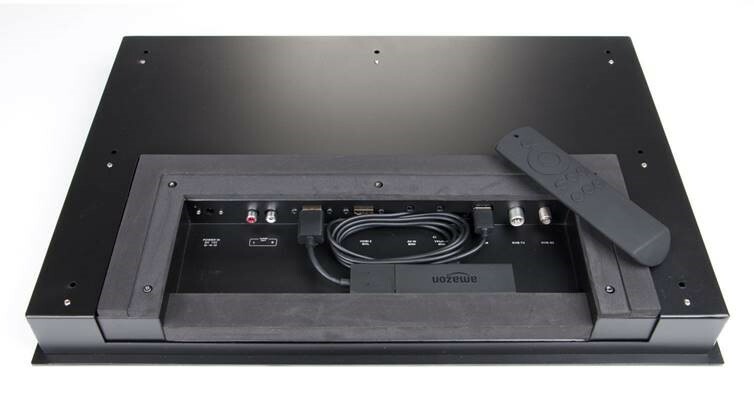 The slim design and easy install Watervue TV with a cut-out dimensions of 580mm x 380mm x 45mm and the front only being 595mm x 397mm x 3mm which sits flush to your tiles. 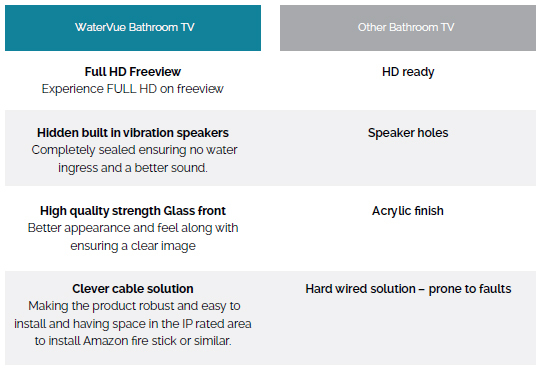 The WaterVue 24” Waterproof Bathroom TV will bring entertainment to a whole new level, With A Full HD LG LED panel with fully integrated vibration speakers, giving you brilliant quality for the smallest of sizes. So you can unwind and relax to your favourite music or film. 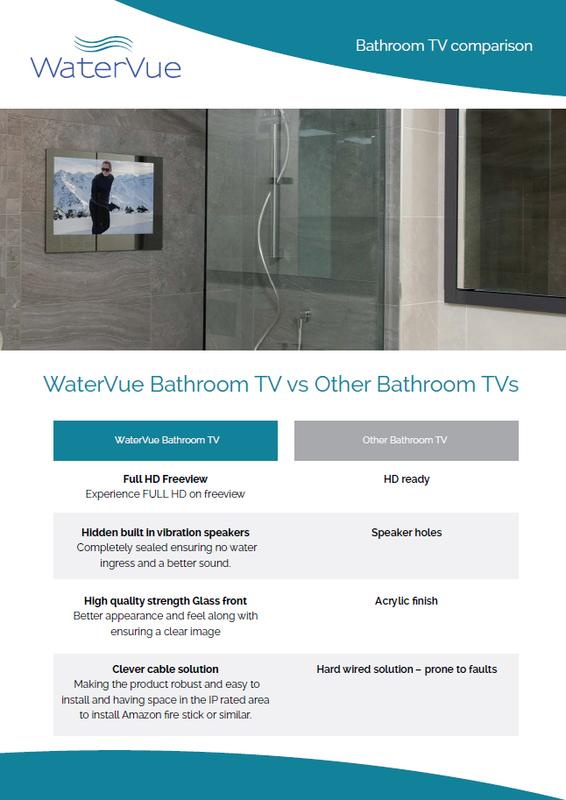 With the WaterVue 24 inch waterproof mirror television, you’ll have easy access to a broad range of entertainment that you can enjoy whilst you bathe or have a refreshing shower. Completely waterproof (with an IP rating of 65) and designed to compliment any interior, it’s perfect for a family bathroom or ensuite shower room. If you would like to find out more, don’t hesitate to give us a call!